Only the Helix Nebula has a larger, projected angular size if these faint, extended lobes are considered. 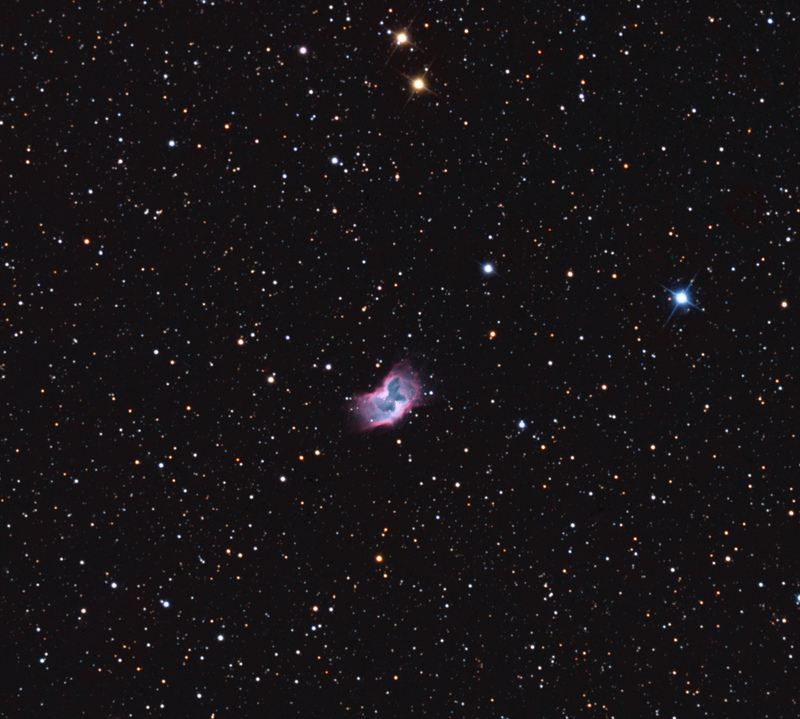 This places the extent of these faint lobe on the right side of NGC 2899 above and to the right of the bright blue star near the right side of the image above. 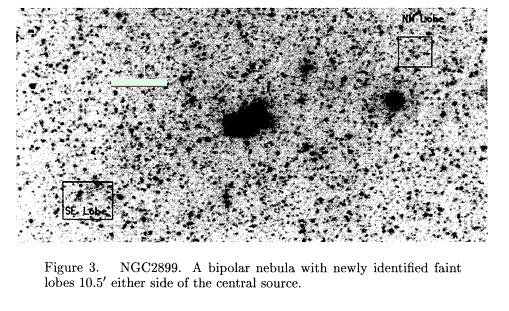 One study determined that NGC 2899 has an orientation of 80 deg, nearly perpendicular to our line of site, thus showing the bipolar characteristics clearly. It is an evolved type 1 high excitation PNe. My image has been cropped to better show the PNe and is 23′ wide with North up. Seeing was very good during data acquisitoin (<2"). Upon close inspection, there are two central stars in the core, but it is uncertain if either one is the proginator star. It reminds me of the bipolar shape of PNe PLN36-1.1 in the northern hemisphere.